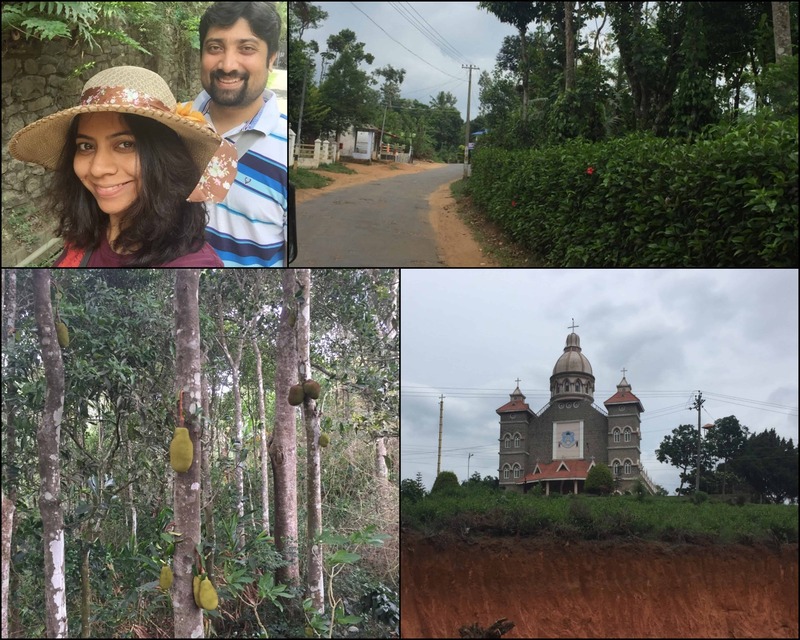 We had two nights and three days to spend in Thekkady and we combined a relaxing weekend with some “major getting lost in nature” travel. My husband and I chose to celebrate his 32nd birthday and our 3rd wedding anniversary, which fall back to back, in this small town in Idukki district, Kerala. Travel to Thekkady: Booked our return bus tickets through Redbus from Chennai to Kumily. Semi-sleeper was the only option and we went ahead with it. That cost us approximately ₹2200 each. 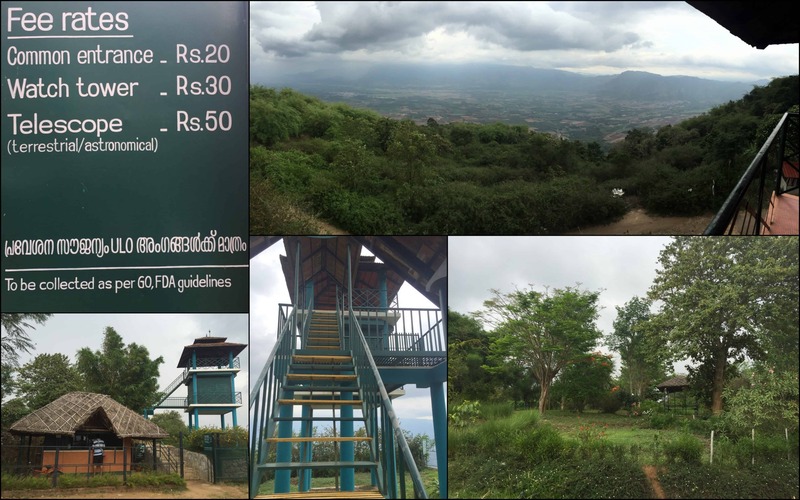 Stay for three days in Thekkady: We stayed at the Club Mahindra Property in Thekkady, which is, I guess, the only property of Club Mahindra that is nestled inside a town. This means food and transport were accessible and all places worth visiting were not too far away. Read my review on the property here. 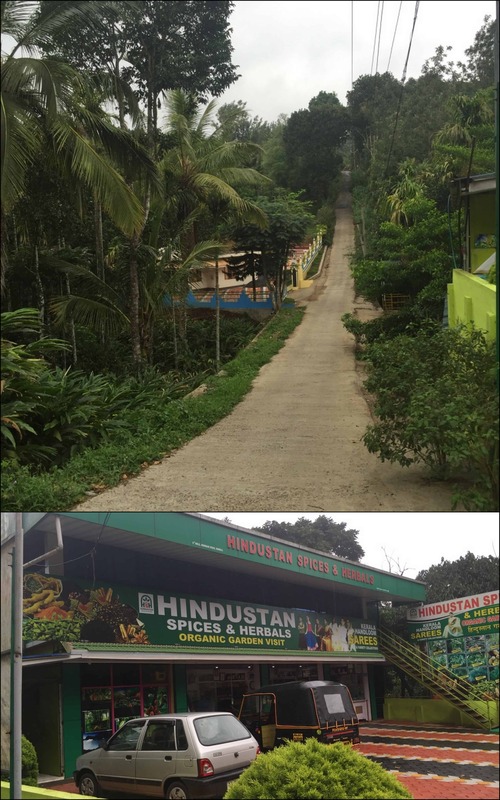 As soon as we reached Kumily bus station at 0630 AM, we walked our way to the resort which was a km and half away. While walking, we realized that this town was full of homestays, hotels, resorts, restaurants etc. So even if you are planning to head to Thekkady in the last minute, worry not my friend as you will find some roof or the other and places to keep your tummy full. Once we checked in (as we had booked for the previous day at avoid the 1000AM usual check in) to the room, we freshened up and left for breakfast which starts at 0730 AM in Club Mahindra Thekkady. There is a fun centre within the resort and the person there gave us all information on where to go, what to do and how much will it cost to enjoy all the possible sightseeing locations. Expensive – that word kept ringing in my head as he was explaining the costs to go to the places that we wanted to visit. No, it is not the entry fee but the travel cost to each destination that adds to an amount that’s way over the budget. As backpackers and with an everyday expense figure in mind, our plans now had to change and we had to dig deeper into our pockets. We took some time to decide on the places we wanted to see. Dosa de Thekkady is right next to the Club Mahindra property and we took the owner’s help for a local contact who could take us around this green town. Selvam was our man for the day who picked us up in his three wheeler (auto). 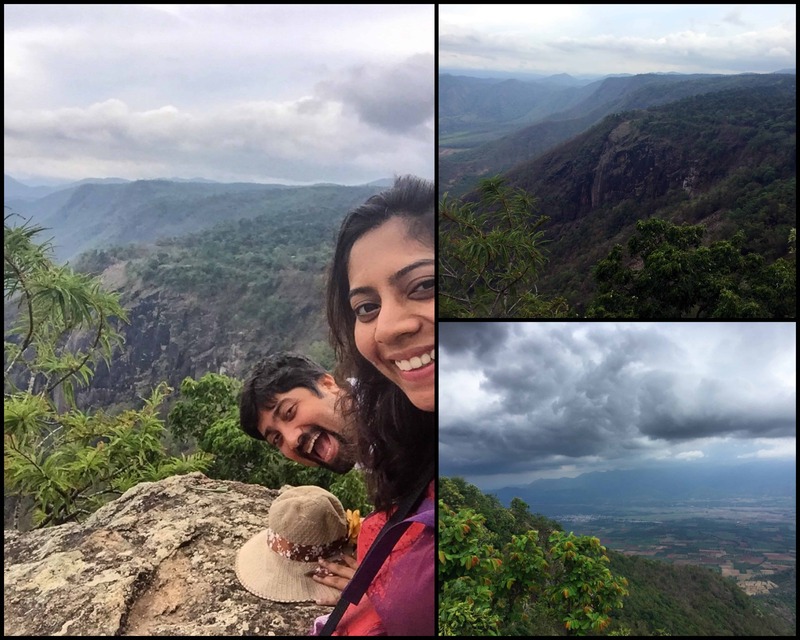 We headed our way to the Chellarkovil and Pandikuzhi viewpoint. The drive to this place was so beautiful as the rain clouds were gathering to pour and the chill breeze hitting the face along with the petrichor was relaxing. Once we reached the destination, Selvam stopped in front of a house which offered a better view than the actual viewpoint. At first, I was hesitant but after visiting both the places, I will totally vouch for the viewpoint from the house. Lucky are the ones who live there 😉 During and after the monsoon season, you will get to witness the waterfall from the viewpoint. Actual viewpoint and the town that you see in the panorama picture is Cumbum along with other places in Tamil Nadu. From here, he took us to a spice garden. You can use a guide to help you understand the different plants, trees etc that they grow and their respective benefits. Quite interesting I must say! I suggest that you don’t give this place a miss unless you already are an expert on Ayurveda and some of the natural benefits these plants offer. After the short tour, we bought spices like cardamon, coffee powder (we loved it), cocoa powder, turmeric powder, lemongrass oil etc. 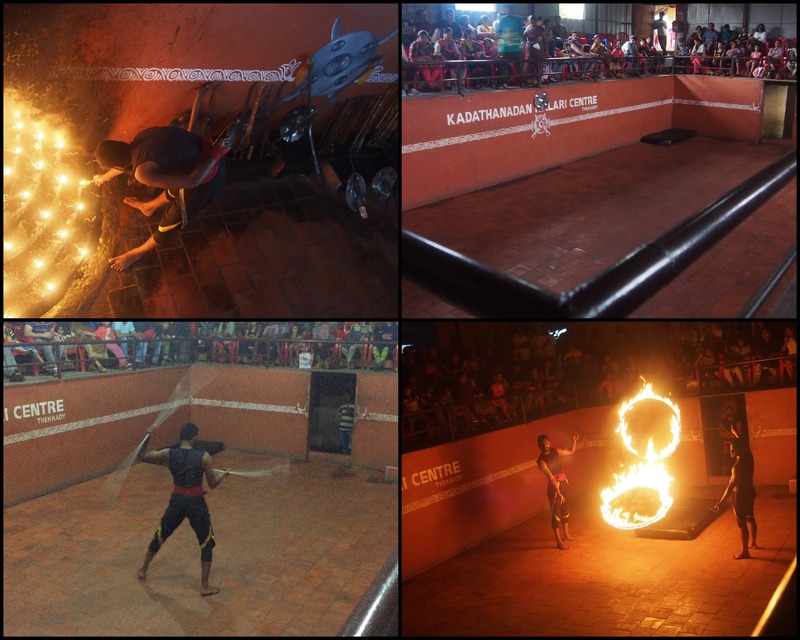 Before we started the trip, we had bought tickets for the Kalaripayattu show( ₹200 per person). Some auto drivers/travel agents may sell the same tickets to you for ₹150 per ticket (if you are lucky). The show starts at 1800 hrs followed by Kathakali performance at 1900 hrs. There are two different places showcasing these performances. We chose to go to Kadathanadan Kalaripayuttu show as per the recommendation of the locals. The performance was so enthralling and I loved every bit of this performance. We were not too keen to watch the Kathakali show and left to the resort for dinner and catch up with sleep. How did we spend the rest of our two days? Watch out for more experiences – in and around Thekkady – coming soon! To know more about Thekkady, click here!